When planning my trip to Italy, I knew that I would have 6 nights between the end of my week with family in Tuscany and arrival at the start of PBP for bike check and preparation. What to do? Well, Verona for the opera and the history, Valpolicella, Lago di Garda and Chesini. Then a day in Cremona to visit the violin museum and even test a few instruments with one of the many luthiers who live and work there. But what then? A swing by Provence and Mt. Ventoux? Not really time, and no desire to do any kind of punishing ride only a few days before the start of PBP. A stop in Burgundy for some wine tasting? Well, not really something I want to do alone, and mid-August is not good timing. Instead, once I realized how close Cremona was to Milan, the choice was obvious. A quick visit to northern Italy's business and fashion capital, and a day trip to the cyclists' shrine at Passo del Ghisallo, the Madonna del Ghisallo. 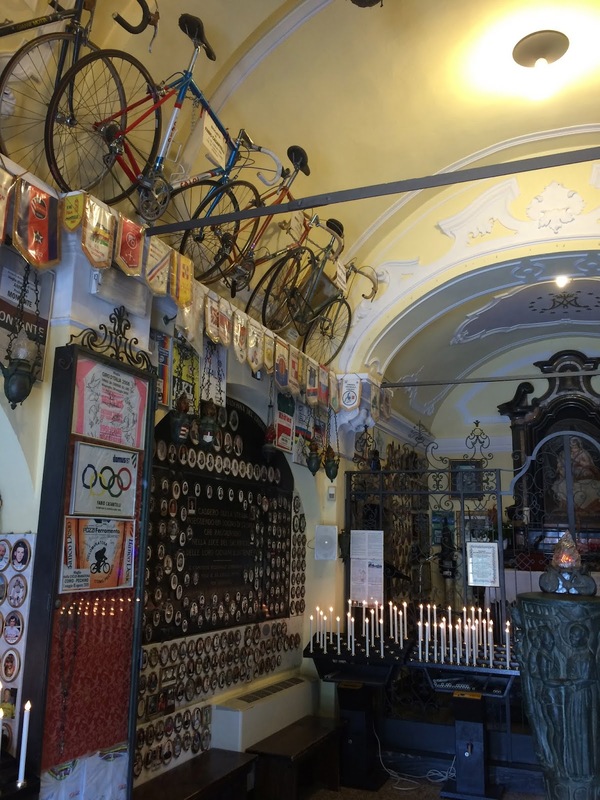 This is an iconic location for cyclists, the "spiritual home to Italian cycling." 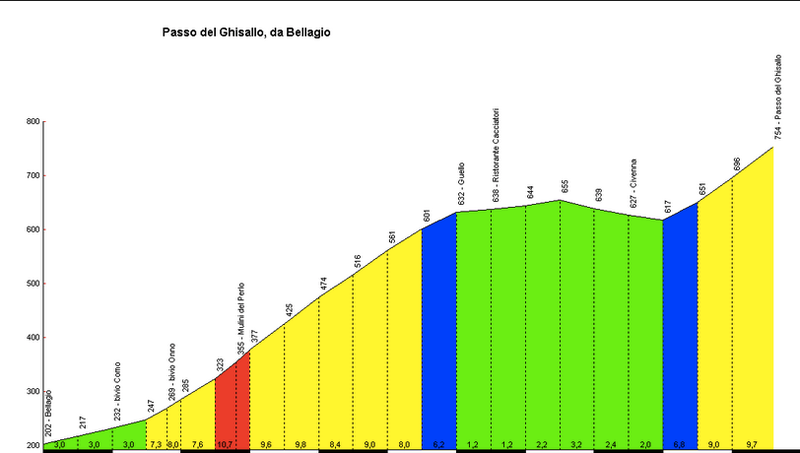 And the climb from Bellagio on the Lake Como side features regularly in the Giro di Lombardia. My hotel was on the SE side of central Milan, so I started by hunting and pecking my way through the city until I could get on a good road headed through the northern suburbs and toward Erba. I would climb to Ghisallo from Erba in the South, not the Bellagio climb, but very nice once in the hills, and with its own delights. 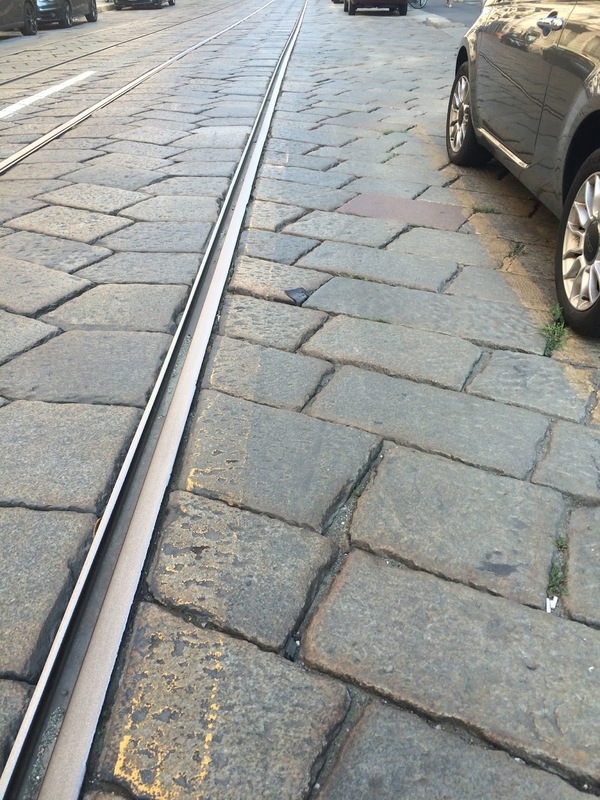 First I got to ride the massive flagstone cobbles and tram rails of central Milan. 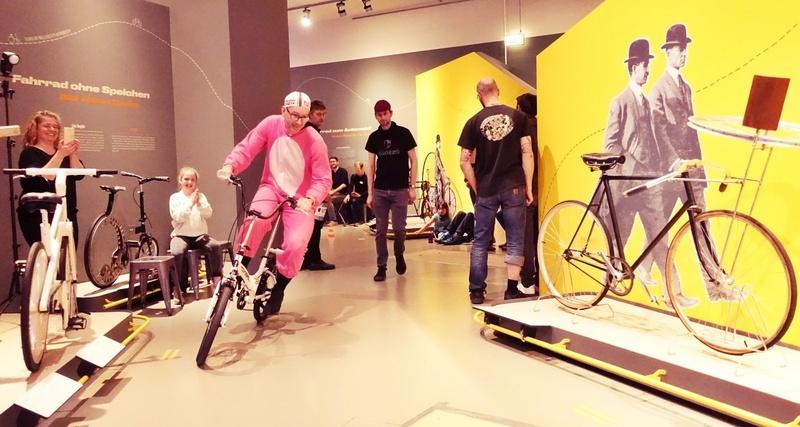 This was a great pre-PBP test for my bicycle setup -- would it fall apart or could it stand the constant vibrations? 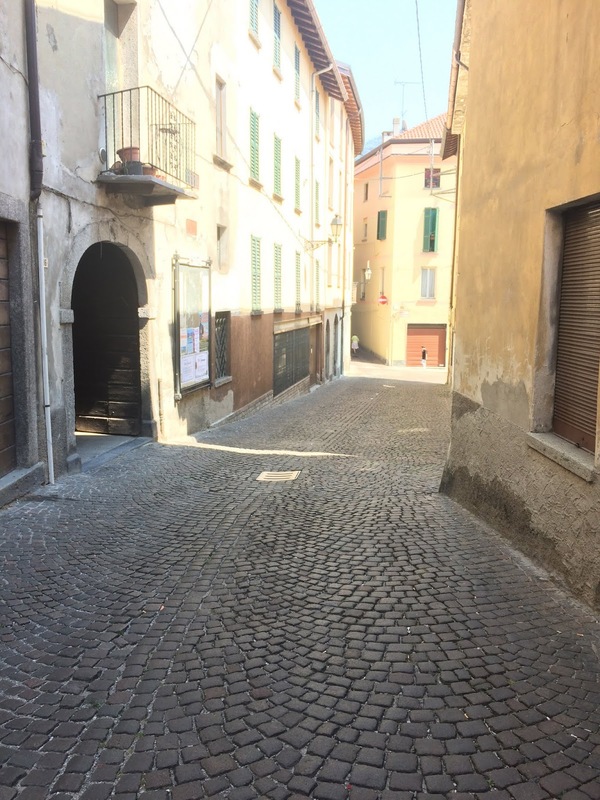 I remember a rain swept final stage of the Giro a few years back that took place on these stones, and now I can see with my own eyes what commentators were discussing at the time -- this is not an easy place to ride on thin tires or at high speed. 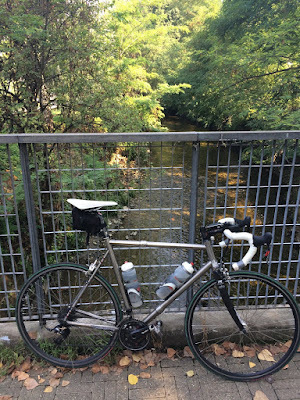 Eventually I rode on a path through Parco Nord Milan, then on better roads. It was very hot by now, maybe 36 or 37 degrees C. I passed Erba, taking a road on the side of the valley that offered a nice view. 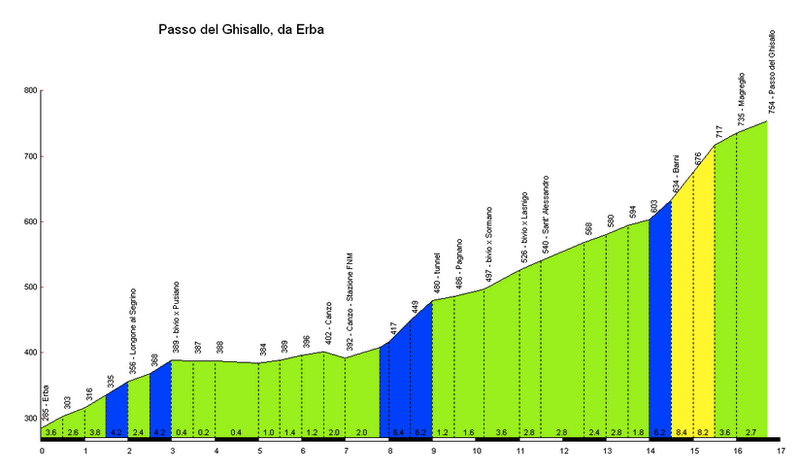 Then Canzo, the beginning of the real climb. Then Asso (missing an "s" at the end, I thought). 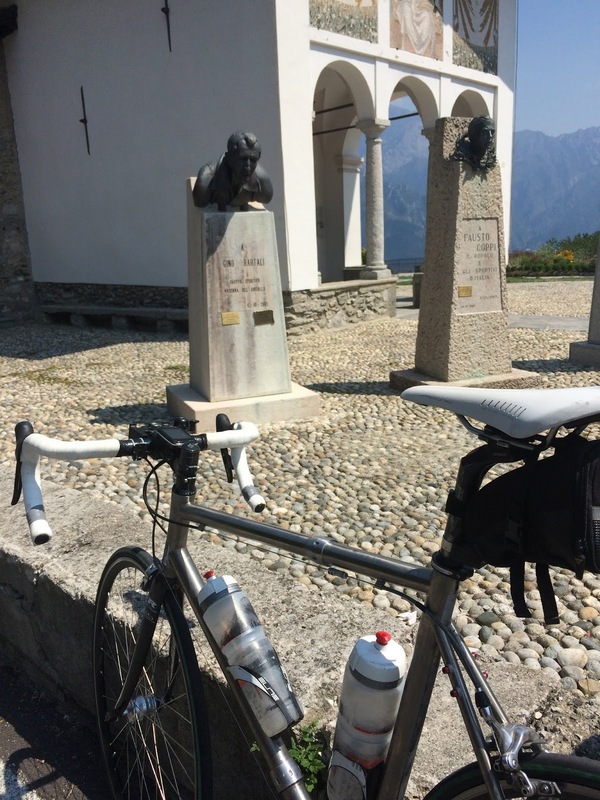 Part of the way up the climb, as the temperature cooled a bit, I passed a 1000 year-old church, built on an outcrop. The road wound around its base and continued to climb. 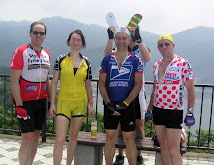 Then before I had expected, I was at the top, the shrine in view and Lake Como stretching out before me. 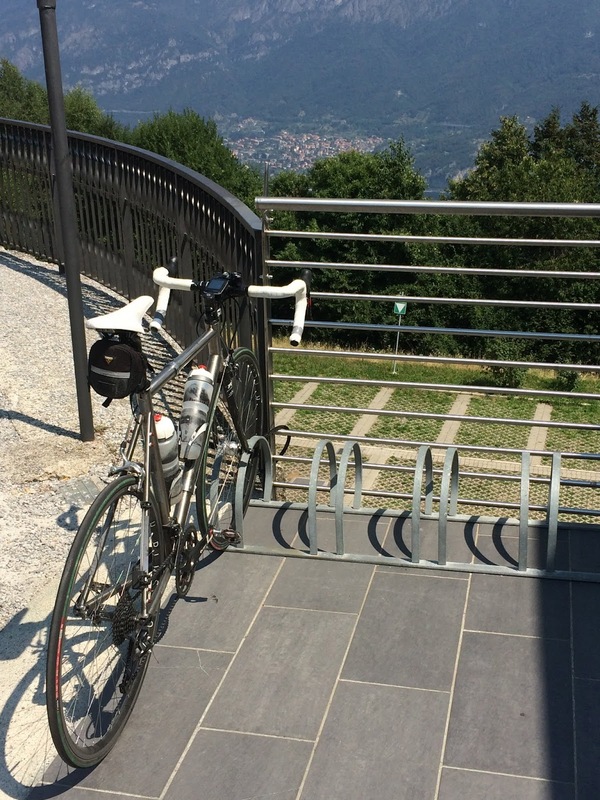 A few meters away, there was a beautiful modern building set into the hillside, the Museo del Ciclismo Ghisallo. Bike parking just at the museum entrance, of course. The museum was almost empty, and I decided to visit it first before the shrine. The man at the admission desk saw me lock my bike and offered "reduced admission, 5 Euro (instead of 6), for those arriving by bicycle". I thanked him, and said "I came all the way from Milan ... maybe 4 Euro?" ... but he was not having any of it. His response "so it took you how long, about 90 minutes". "Errr ... a bit longer" (actually more than twice that, some due to leisurely pace, some due to navigation on the way out of the city). 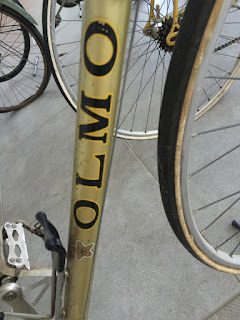 The museum building is gorgeous, and it is full of memorabilia of (mostly Italian) cycling history. 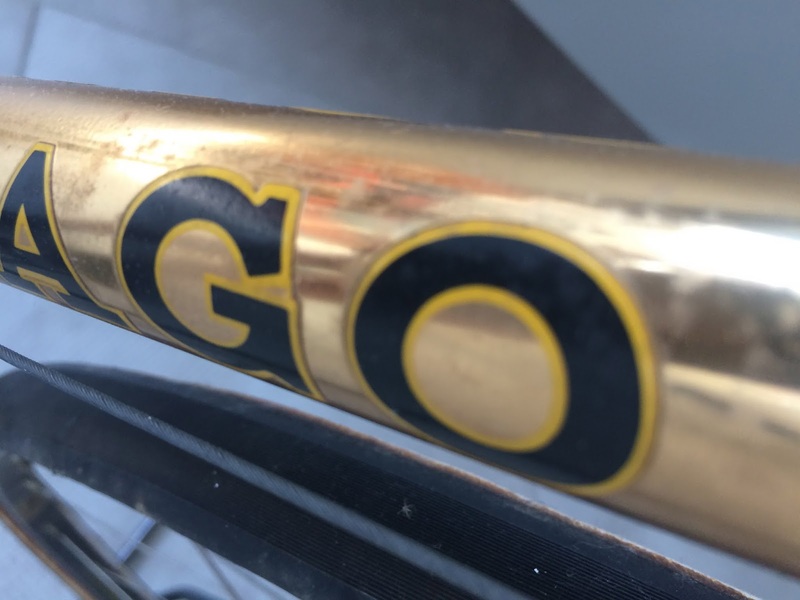 I highly recommend it, especially for someone with an interest in classic bicycles -- Bianchi, Colnago, Casati, Olmo, at least 3 Merckx, and on and on and on. 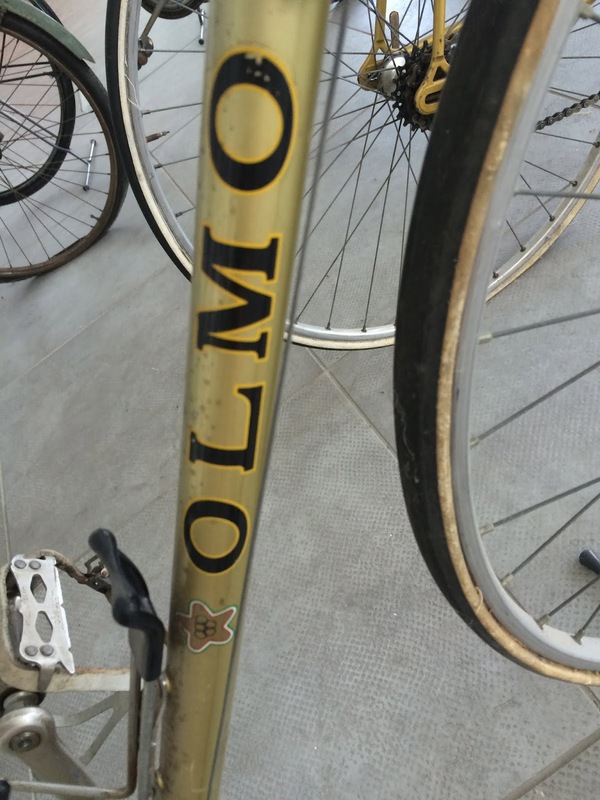 There is a lot of racing memorabilia (especially from the Giro d'Italia), and I could not imagine a better place to observe the evolution of shifting systems, tensioners, etc. I took many photos, which you can access at this link. Better yet, stop by if you ever get anywhere close. After the museum, I spent a few minutes in the actual shrine. I wanted to make some kind of small offering and say a prayer for a friend who died in a cycling accident last year in California when he was hit while riding, struck by a car towing a horse trailer and driven by an inexperienced, teenage driver. I did so, and saw Fabio Casartelli's bike from his fatal crash in the Pyrenees, fork bent a bit backward but otherwise not noticeably damaged, hanging from the rafters. After a few moments' reflection, I left the shrine. No time to go down to Bellagio, but I could dip a few hundred meters down the road for a view a bit further along Lake Como. 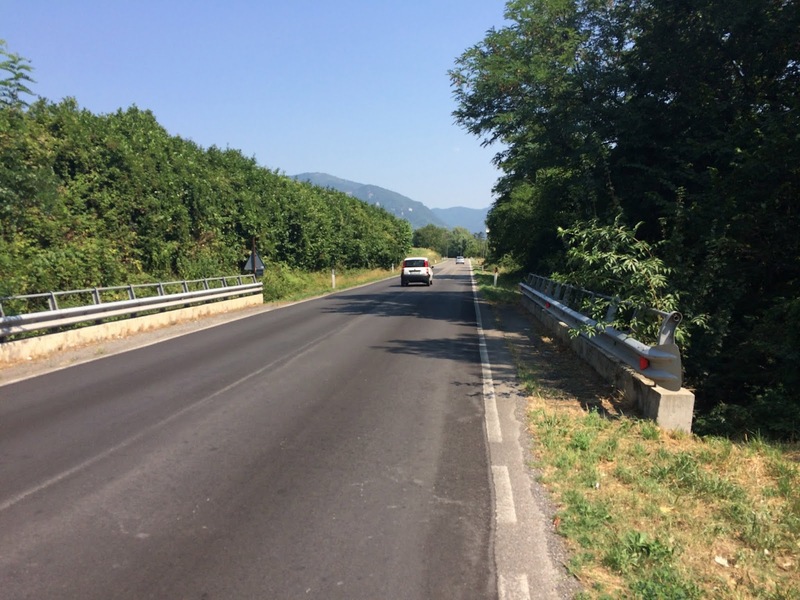 I headed back toward Milan. By now it was close to 2PM and I was worried about getting lunch before the end of service hours. I went off the main road and into the town of Asso. 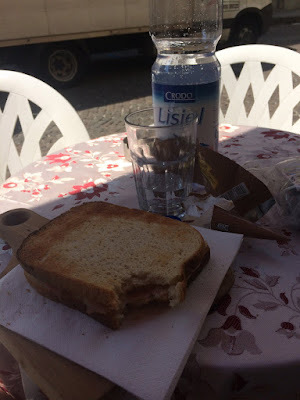 It looked a bit as if time had forgotten it, but I could find one "bar" that served a grilled sandwich--almost a tuna melt. It was much better than anticipated. The owner/server's mother came by as I sat, and we conversed in a mix of broken English, Italian and other languages (a bit of French). She said she was from Switzerland originally, but had married and moved to Italy (Asso). Her (deceased) husband's brother lived in Connecticut ... but she had never visited the U.S. It was a nice interlude and I was glad to be off the "recommended route" for tourists. Asso ... more cobbles, and not much activity on a hot August afternoon. 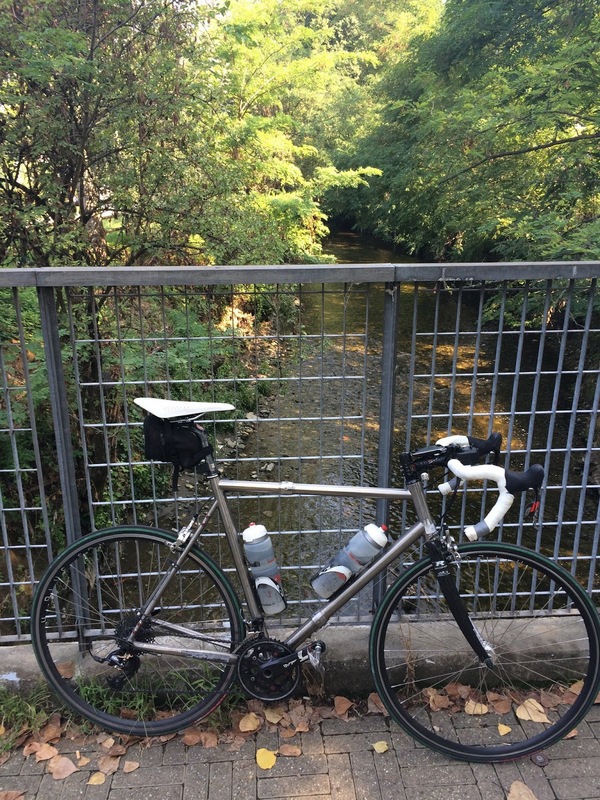 I retraced my route back to Milan, making good time and avoiding several mis-steps I had made on the way out of town.